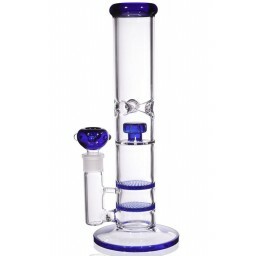 The Hole-y Spirit - 18” Clear Water Pipe with Honeycomb Perc -The Greatest Online Smoke Shop! 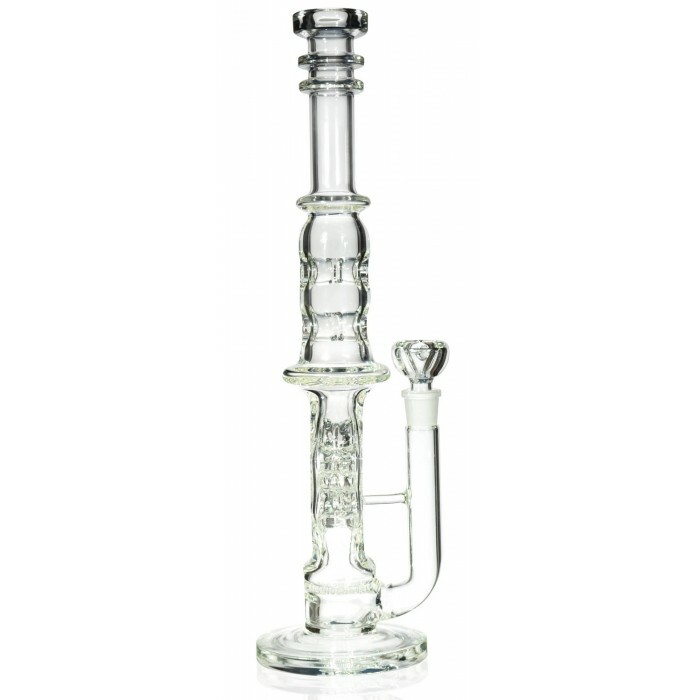 Honeycomb perc sits in the water chamber, guaranteeing the highest quality cooling and filtration. 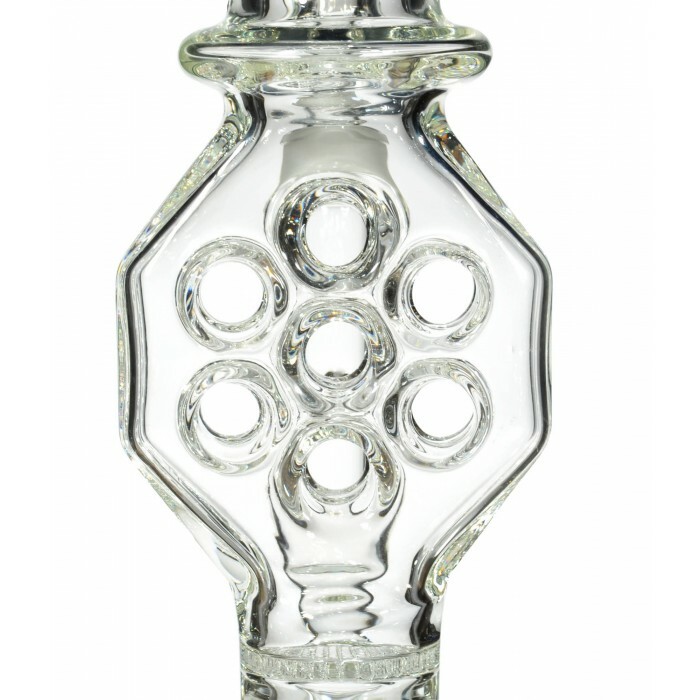 Above the water chamber sits an octagon shape with 7 holes. The smoke dances around these holes as the smoke fills the pipe. The smoke continues upward, around two more holes that sit in the neck of piece. Three small discs finish off the neck of the pipe, before it ends in solid mouthpiece. 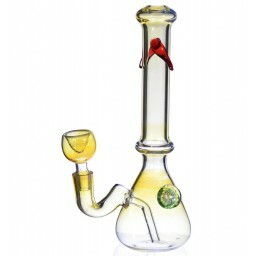 The transparency of the pipe allows you to watch the dope way it fills with smoke. 18” size insures huge hits. 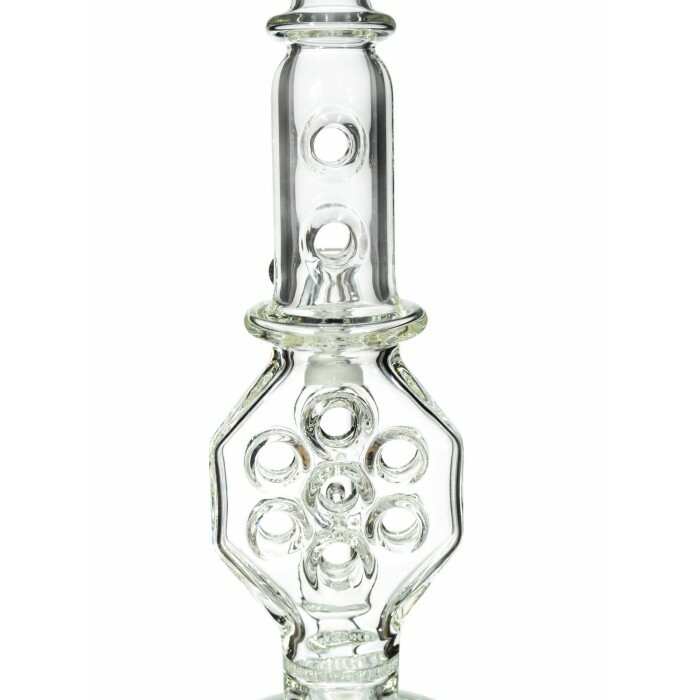 19mm bowl. 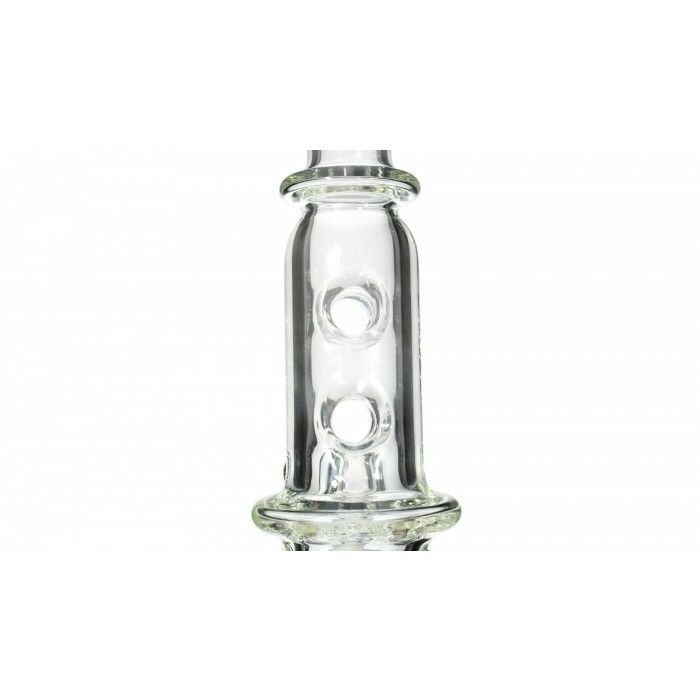 Three small discs finish off the neck of the pipe, before it ends in solid mouthpiece. 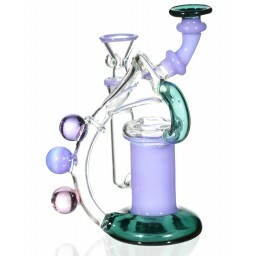 The transparency of the pipe allows you to watch the dope way it fills with smoke. 18” size insures huge hits. 19mm bowl. 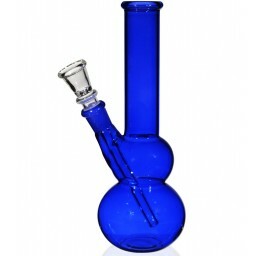 This water pipe stands out from the others. It all starts with the honeycomb percolator, one of the best styles of percolators on the market. 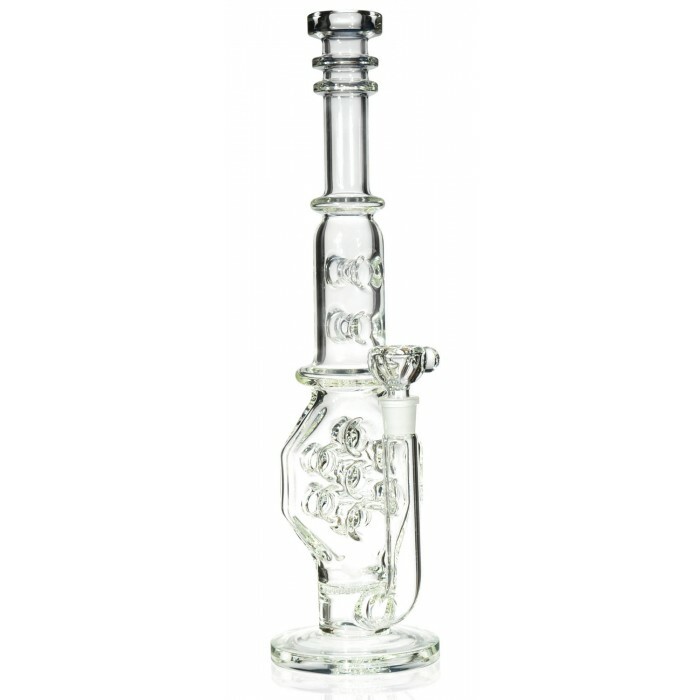 The honeycomb creates perfect small bubbles, allowing for the maximization of cooling and filtration to take place. 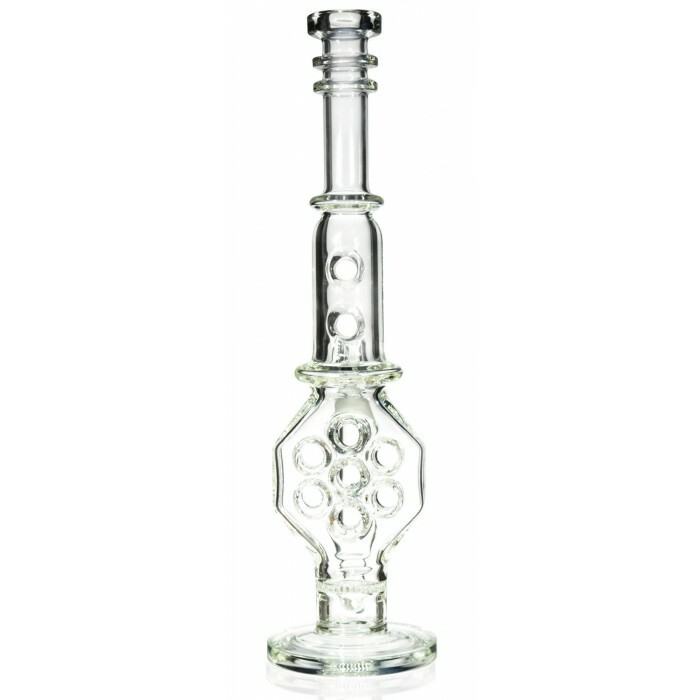 Once the smoke leaves the perc, it travels up into a perfectly designed octagon shape. 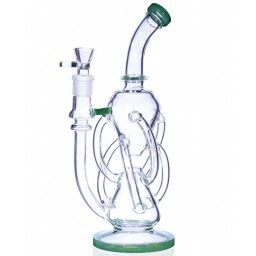 There are seven holes in this shape, so the smoke has to move around them as it fills this chamber. This creates a unique sight to see. 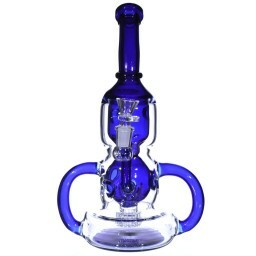 Above the octagon is a tube like chamber, with two more holes that once again manipulate the smoke in a dope way. 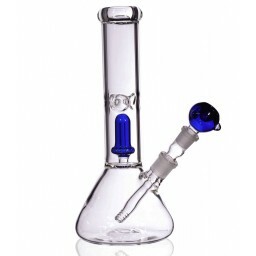 From there, the smoke shoots through the skinny neck of the pipe and out through the solid mouthpiece. 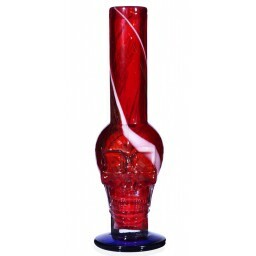 At 18”, this pipe is sure to dish out huge hits. 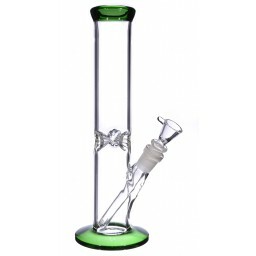 Plus, it’s made of a durable high quality glass. There’s a lot of boring water pipes out there, this isn't one of them. 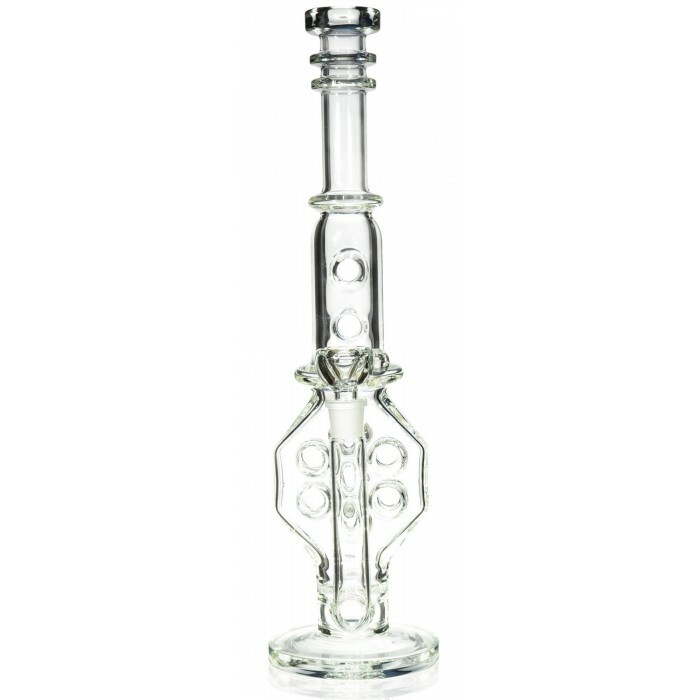 12" Beaker Bottom Domed Cir Perc Glass Water Pipe - Extra Extra Heavy !! !